When your pad has no pattern layers, color scheme or any semblance of a thought out design, it can make everything seem one-dimensional. This leads to a pretty boring and unwelcoming space. Once you’re out of your parents’ home and no longer living with 6 friends in a 2-bedroom bachelor pad in college, it’s time to start taking interior design a little more seriously! You don’t have to be a professional interior designer to make a space vibrant and welcoming. By layering patterns and colors in the proper way anyone can make their apartment … well more adult like! We partnered with the interior design company GoHaus.com to share How to Layer Patterns and Colors In Your Home to really bring your space to life! Layering patterns and colors can be a daunting task. At first you think about all the things you need to consider: floors, walls, window coverings and drapes, upholstery, accessories… the list goes on. Our first tip is to start small!! Don’t be discouraged at the amount of stuff you think you have to change. We recommend starting with throw and floor pillows and small area rugs. You can get these items on a budget and play around with different pattern and color ideas before changing some big priced items in your apartment. You’d be surprised at how changing a few small things like throw pillows can really change the look and feel of a space. One of the very first things you should start with is choosing the proper colors. We suggest to start with A LOT of colors and edit down from there. 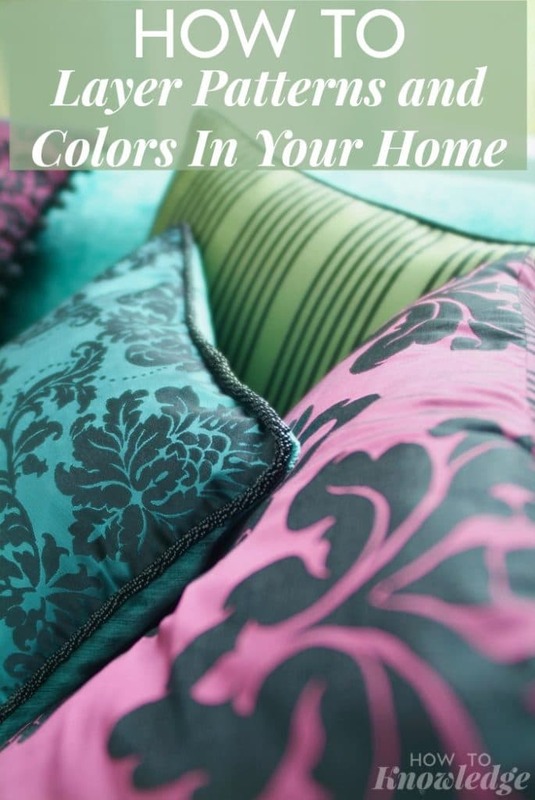 Grab some fabrics in a wide array of colors that you like and lay them all out. Start by tossing a few out right off the bat that clearly clash or do not go well in your space. Narrow it down until you have a main color scheme. 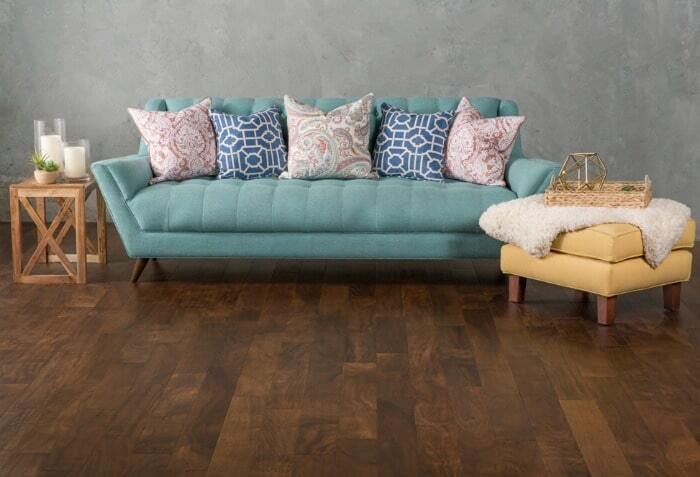 A major color in every home is the floor. You should always take this into consideration when choosing a color scheme. 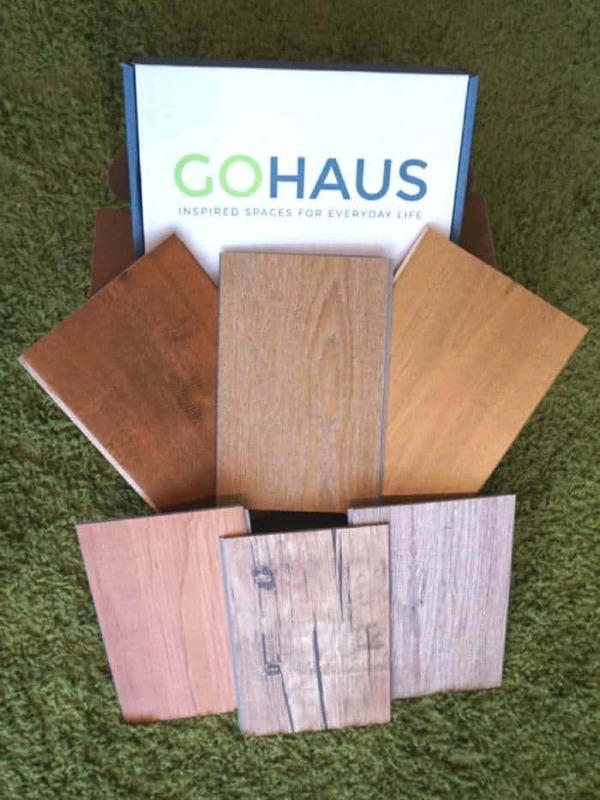 If you’re thinking about changing that anytime in the near future we suggest grabbing some flooring samples in various colors and adding those into your color board to make sure your choices don’t clash with the biggest canvas in your home, your flooring!! 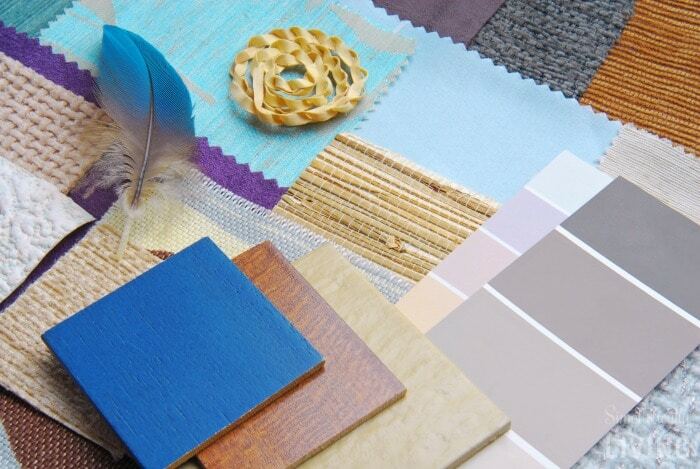 Most retailers will send free flooring samples with no credit card information needed, making it a no brainer to add into your color board. Now that we’ve decided on the main color scheme, it’s time to add in some contrast. This means both pattern and color contrast. If you don’t know what contrasting colors work with your chosen color there is an awesome Adobe Color Tool online. You can input the color you chose and it will give you direct contrasting colors, the monochromatic color, complimenting colors, compound colors and anything else you need to match with that color. Most people get through the color and shapes fairly easily but find varying the scale of patterns to be the hardest task. We usually divide scale into three sizes: small, medium and large, and you want to vary these with your fabrics across any given room. As a general rule, try not to mix more than one fabric or item of both small and large scale. Small scale patterns clash like oil and water. If you look at the image below you can see a lot of small scale patterns together. It’s tough for your eye to decide which one to focus on…. Our point exactly. Stick with one small scale design. Large scale patterns don’t seem to clash up-close but when you step back 10 feet or so you can see how large scale patterns will look like they are trying to eat each other! Stick with one large scale pattern within a room as well. The exception is medium scale designs. 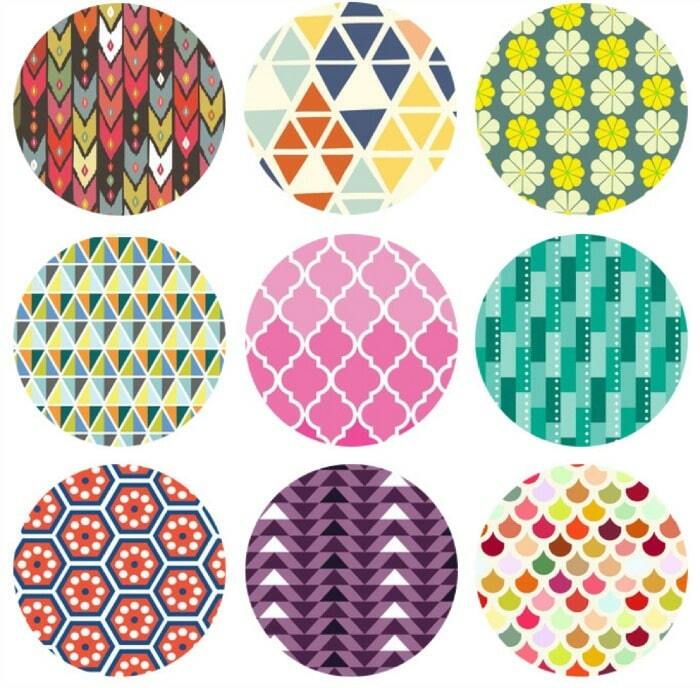 You can do multiple of these across a room as long as you mix the shape and pattern. You want them to be drastically different, so the more varied the pattern for medium scale the better. Don’t mix similar style and geometrically shaped medium scale designs. Those are our basic tips to get your started! Remember don’t be overwhelmed by all the options and items that need to be layered, start small and work your way up. You can make big changes with a few small design edits!